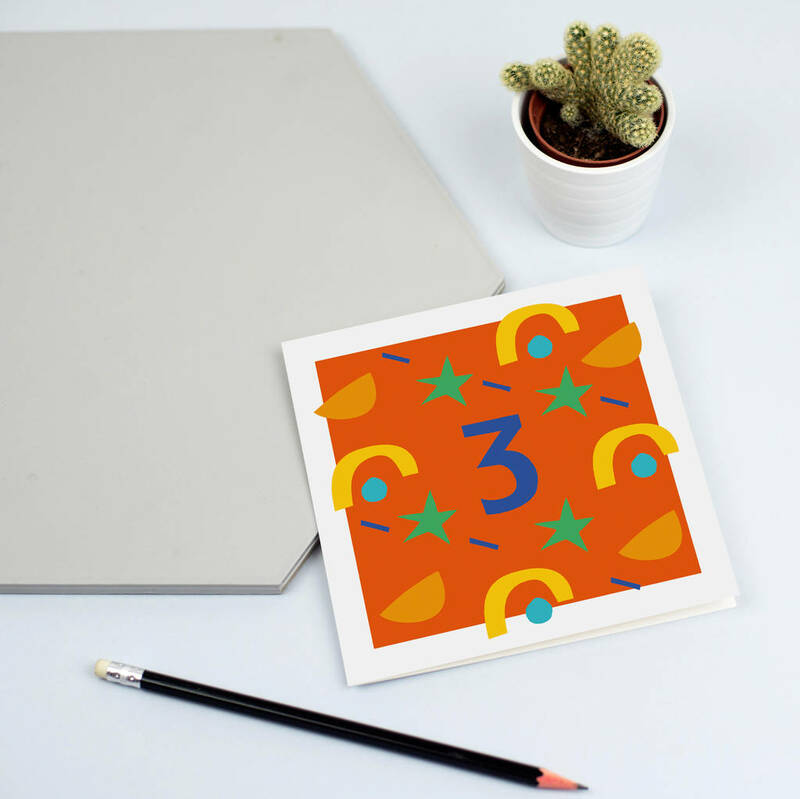 A unisex birthday card for a child turning 3. 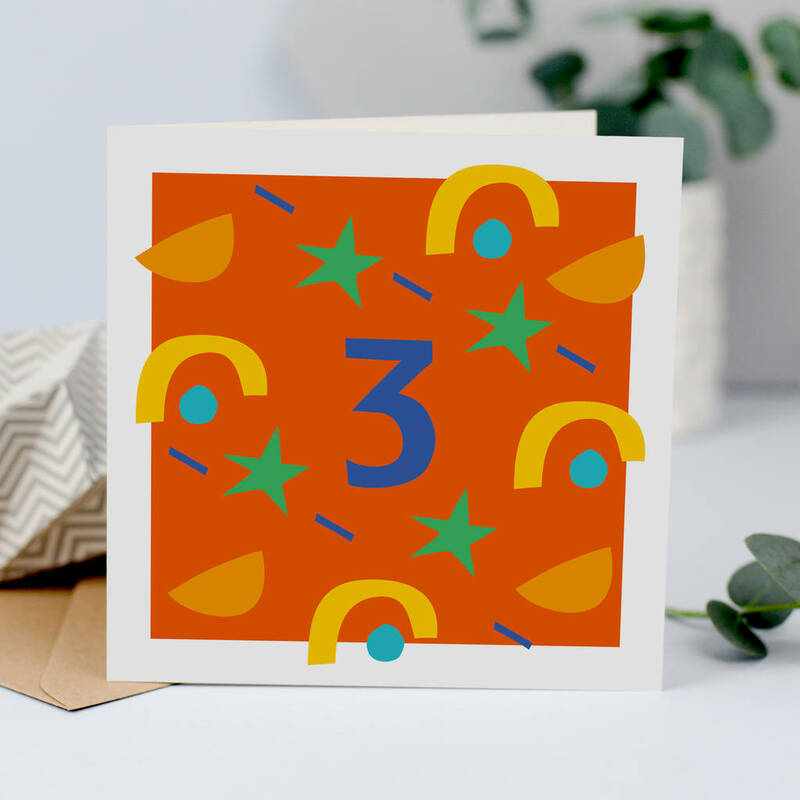 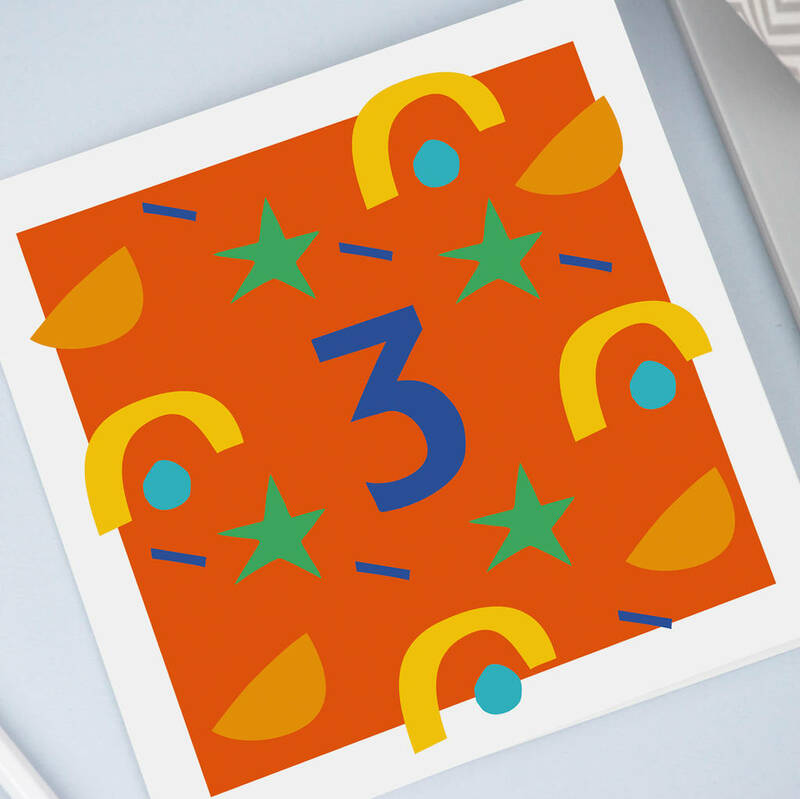 This gorgeous unisex 3rd birthday card is the ideal choice for your son, daughter, niece or nephew turning three. With bright bold colurs and shapes it's sure to stand out on the mantel piece! 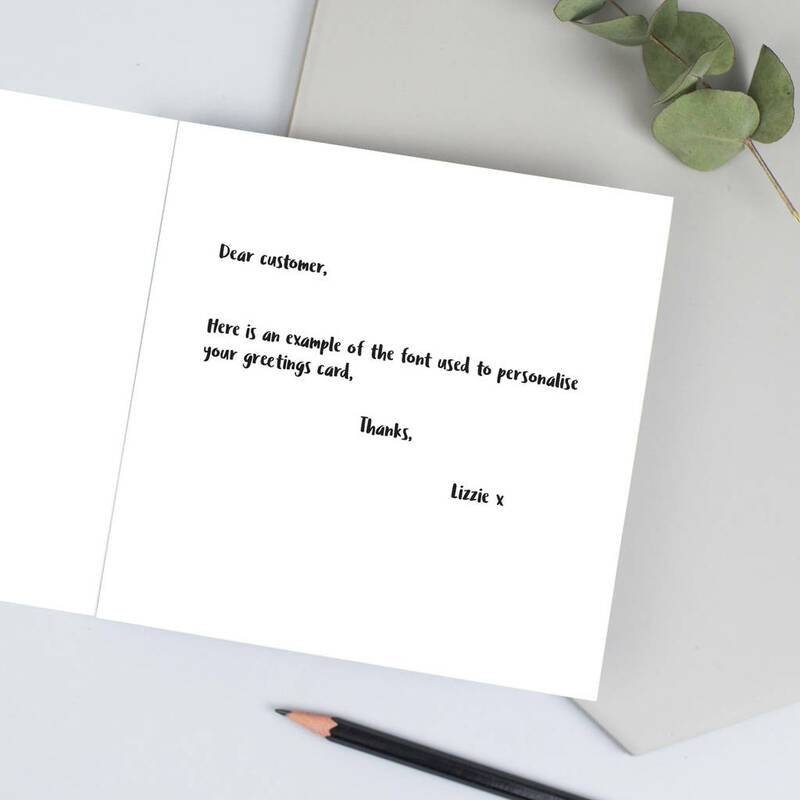 300gsm card stock and supplied with a kraft fleck envelope.